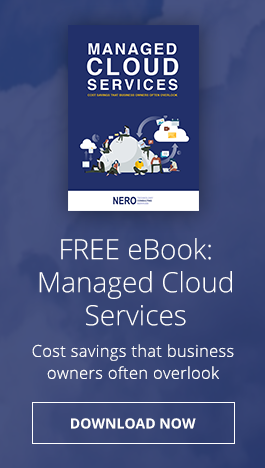 Nero CloudExchange is a cloud-based solution for Email, VoIP, Virtualization and Microsoft Office 365 services for businesses of all sizes across all industries. We provide high quality service and scalability since we utilize the same infrastructure as the name brand providers. However, we set our prices lower and quality of service higher for all our customers. Choose one, or all four solutions for your business for a highly effective and highly reliable always-on communications continuity solution. Nero Consulting’s CloudExchange solutions rocket your business into the future with cutting-edge IT that cuts costs, saves time, and enables you to reach new heights of productivity. Voice over Internet Protocol (VoIP) technology for a much more affordable phone service. Microsoft Exchange hosted email for managing your email, contacts and calendar. Advanced Anti-Spam to filter out any unwanted or harmful messages entering your system, included with your Hosted Email solution at NO EXTRA COST. Virtualization to free up office space and reduce technology maintenance costs. Microsoft Office 365 to increase productivity and business flexibility. All solutions feature tremendous scalability (pay-as-you-grow model), rapid deployment and seamless integration with virtually any infrastructure. NO CAPITAL EXPENDITURE or STARTUP COSTS!